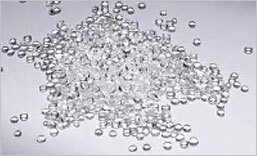 COC (Cyclic Olefin Copolymer) is a copolymer resin of ethylene and norborene and has optical properties like PMMA. It has much superior dimensional stability and heat stability than PC. COC grants east tear, high gloss, high stiffness, moisture barrier, and chemical resistance to films and moldings.